The half production year 928 for 1986 has turned out to become one of the favorites among 928 enthusiasts. It combines the best of the later S4 mechanical developments with the lighter and more elegant/simpler design of the first generation. These cars received the 5.0L/32 valve motor like the later S4s as well as the larger Brembo brakes, ABS, S4 updated suspension package, and similar improved flow exhaust system. Basically, all the mechanicals of the S4 in a 200lb lighter body. Also, the transmission was refined and shifted quicker utilizing first gear. Only 2,000 of these unique models were delivered to North America. The first owner was a local Orange County resident. He was a retired colonel in the US Air Force as well as a flight surgeon. Furthermore, he was twice elected mayor of a local Orange County city. As an avid collector, he had up to 200 cars at one time. 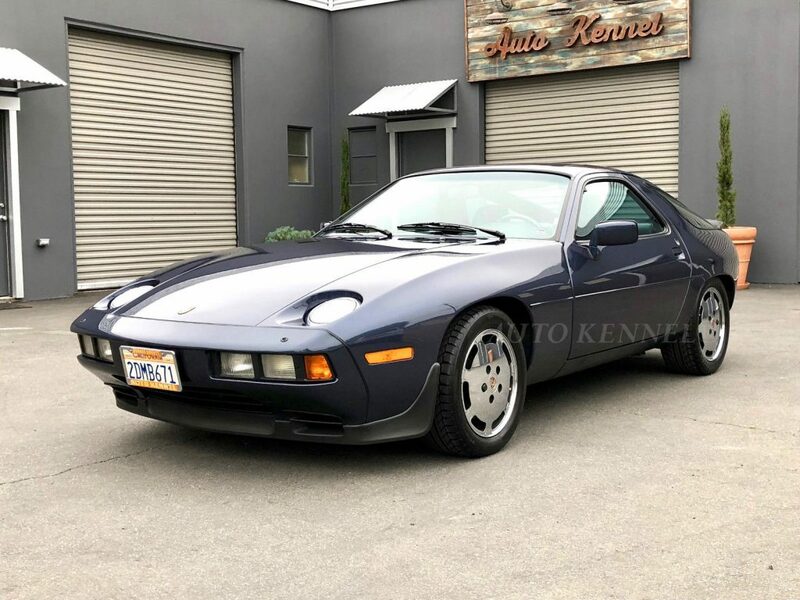 He purchased this 928 new from the local Porsche dealer and used it lightly for the first decade. During that time, he kept his favorite cars of his collection in his home garage. This 928 lived most of its life there. He accrued about 11,000-miles while driving it. Then, in 1996, he decided to preserve the car and stored it. Most of the services were performed at the selling dealership and there are corresponding stamps in the original maintenance book. We also have a copy of the original title. 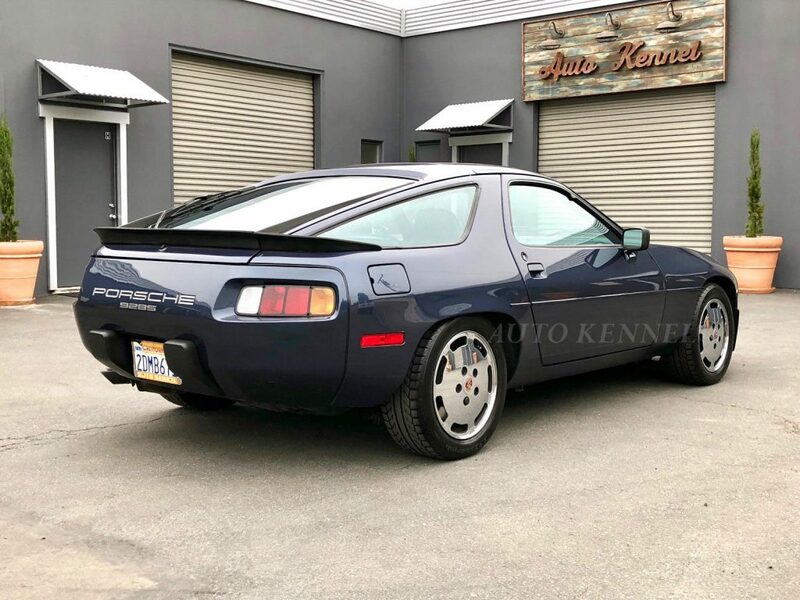 Furthermore, this was the one year the state of California issued the “Golden State” license plates as standard issue and this 928 retains its original current registered plates from when sold new. In total, this owner has invested over $27,000 preserving this 928 and keeping it in top running condition. This Porsche is in excellent survivor and original condition. The paint looks fantastic with hardly any signs of use. It is all original paint and verified with a meter (see pics). There are a few very light scratches (see pics.) All the glass is original, including the windshield, and has no significant chips or cracks. All the correct factory stampings are visible. All the exterior lights work properly and all the lenses look great with no cracks or fading. The original factory wheels were chromed when new at the dealer and look great with no curb rashes. They are wearing near full tread BF Goodrich tires. All four wheel locks are in place with new plastic covers from Porsche. An extra pair of chrome wheels (see pic) are available for an additional fee. The front brakes are new and the rear brakes have over 75% life remaining. The interior looks equally as nice and shows very little signs of wear. The interior is all original. The leather seats have no cracks or tears. The carpet has no stains. There are no unusual odors and it still smells like leather inside. The headliner has no tears and looks great. The door panels still look crisp with no sagging of the pockets. The dash is perfect with no cracks or warping. All the gauges work properly. The digital LCD clocks works with full display of digits. The original radio works but has been removed and safeguarded (see pic) while a modern Bluetooth unit has been installed. The factory amp that is hidden in the rocker under the carpet has stopped working and was replaced with a modern unit. All the buttons look great with no signs of wear. Everything electric works including the sunroof, windows, door locks, and mirrors. The A/C system blows ice cold. All the interior lights work. The interior looks brand new. The trunk and engine compartments look just as you would expect a 15k-mile preserved example should look. There is hardly any signs of wear. The original space saver looks unused. The tool kit is complete. A battery tender has been hardwired to the battery. The hoses and plastic air intakes for the engine have no cracks. Even, the original hood sound pad is in place, although somewhat fragile. 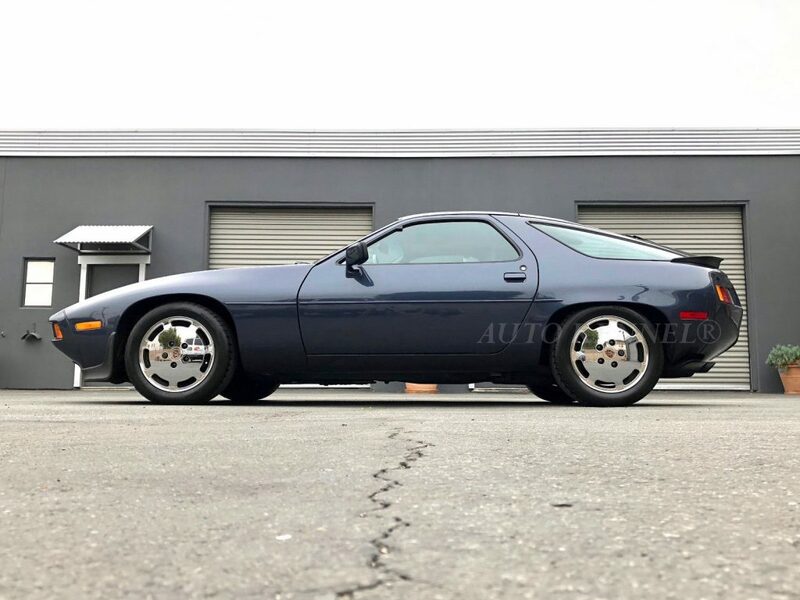 This exceptional example of a 928 is not only a rare and desirable model year, but also in a great color combination with an excellent documented history. It could easily compete at a national concours level in preservation class or be used for vintage touring events. In fact, it won its class at our local PCA Zone 8 Concours. Unlike other low-mile examples, this one has been sorted and serviced. It is ready to be enjoyed. Current California registration is good through November of 2018 and it has a current smog certificate. 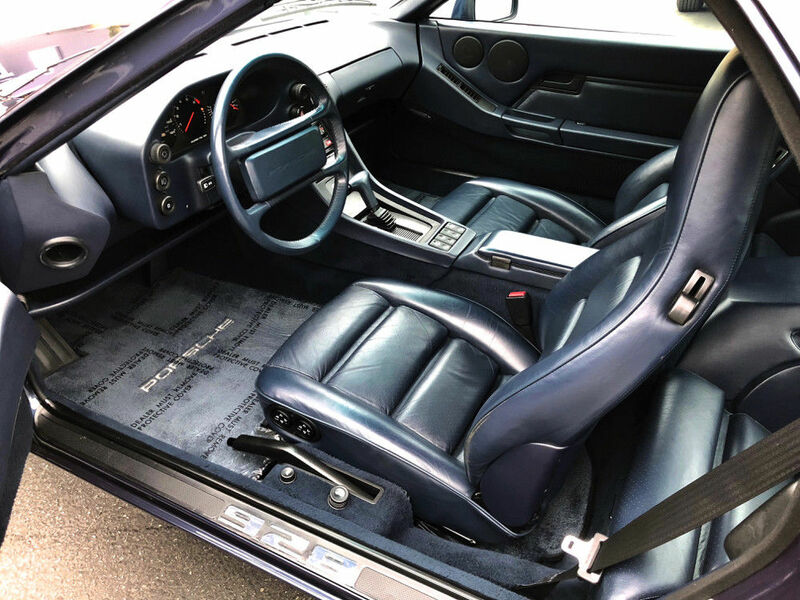 This 928 comes with the original owner’s manuals, all extra/original keys, 2-car covers, concours trophy, space saver spare, tool kit, jack, cargo cover, original radio, original amplifier, Porsche Certificate of Authenticity, extra set of floor mats, and battery tender.